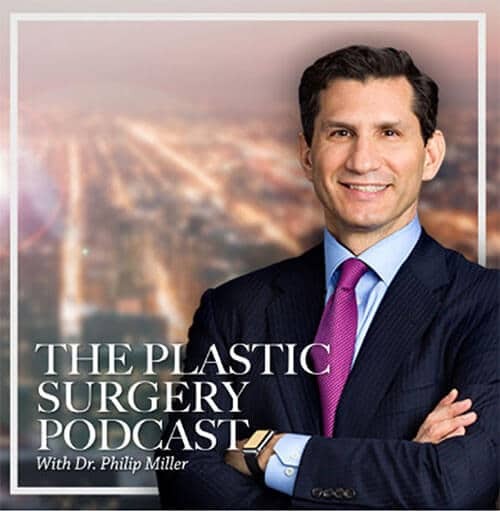 As one of NYC’s leading rhinoplasty surgeons, Dr. Philip J. Miller understands that not every patient who is dissatisfied with his or her nose needs invasive surgery to see dramatic improvements. 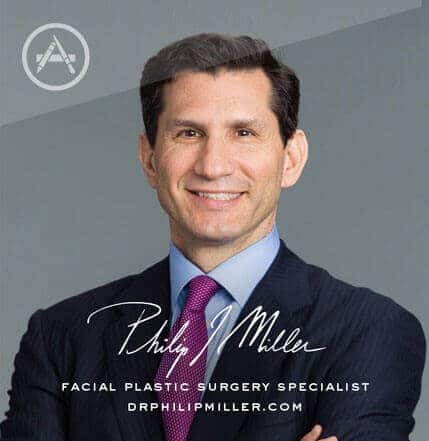 For these patients, Dr. Miller has developed a specialized area of practice that allows for dramatic results with non-surgical methods known as a liquid rhinoplasty. A non-surgical nose job allows a patient to make subtle changes to the shape of the nose through use of injectable fillers. Also referred to as liquid rhinoplasty, non-surgical nose jobs allow surgeons to change the shape, size, and position of the nasal tip, straighten the nose and even hide bumps. For the right patient, a non-surgical nose job is a convenient and pain-free alternative to invasive surgical procedures to correct certain undesirable nose characteristics. What Are the Benefits of a Non-surgical Nose Job? Injectable fillers have been on the market for many years and enjoy an excellent track record for safety. Fillers are also excellent for correcting minor depressions around the nose. These small modifications can make a dramatic difference in the overall appearance of the face. Since injectable fillers are used, you see the results instantaneously. And, if you are unhappy with the result for whatever reason, the injectable can be dissolved within twenty-four hours. Non-surgical nose jobs have no long-term effects should you opt for a traditional rhinoplasty procedure down the road. You can return to normal activities immediately after the procedure, and usually, there is little to no swelling or bruising at the treatment site. 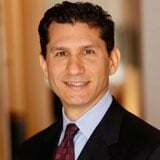 What Are The Limitations Of A Non-Surgical Nose Job? While non-surgical nose jobs with Dr. Miller in NYC offer many benefits, there are some limitations you should know about. Unlike a traditional nose job, non-permanent nose job results don’t last forever. Injectable fillers erode over time, returning your nose to its original shape. If you desire more permanent results, you should consider a traditional rhinoplasty procedure. Some nasal structure or patient medical histories prohibit the use of injectable fillers to solve appearance issues in the nose. Only an experienced non-surgical nose job facial plastic surgeon can identify whether this procedure is right for you. Injectable fillers can only be used to smooth and contour the existing nasal structure. While a non-surgical nose job is great for concealing undesirable depressions or bumps, the nature of the procedure means it is not suitable for candidates who desire a nasal reduction. Which Injectables Are Used In Liquid Nose Jobs? Hyaluronic acid fillers such as Restylane, Perlane, and Juvéderm are the preferred injectable fillers for non-surgical nose jobs, as they are the easiest to mold and shape, and can be removed within 24 hours. Depending on circumstances, Radiesse may also be used. As with all injectable fillers, how long the results will last depends on several factors. Each patient will metabolize the injectable at a different rate, thus affecting the longevity of the results. The area of the nose being treated will also have an impact, but the typical duration is between 8 and 24 months. During your consultation, Dr. Miller will explain the expected longevity for your non-surgical nose job. Am I A Candidate For Injectable Fillers? If you are dissatisfied with your nose because of hollows or depressions that affect its overall appearance, but you are not comfortable with the idea of rhinoplasty surgery, a non-surgical nose job may be the right solution for you. While these procedures cannot make your nose smaller or permanently change the underlying structure, if a minor filling is all that is needed to create a more pleasing overall shape, then a non-surgical nose job may be the perfect solution. How Do I Learn More About Non-Surgical Nose Jobs? To learn more about non-surgical nose jobs in NYC, visit ncbi.nlm.nih.gov or please contact our office to set up a consultation with Dr. Miller. Contact us online or call our practice in New York. One of our Patient Advisers will be happy to help you start the journey to an improved you. Next, read about nose reduction.